I love finding bargains, who doesn’t. But I have a particular draw to old, antique or second hand bargains. Two weekends ago Paul and I head out to the Midlands for a weekend away together. It was well needed after the stress of this year, and it was the perfect space for us to reconnect. We took our books, our bibles, warm clothes and some baked goods. Paul grew up in Howick so I always have my very own tour guide when we visit this part of KZN, and he knows where all the second hand/antique meander stops are. We love the Midlands Meander. It is great for day trips or weekend adventures away. We had the most incredible weather, sunny and cool during the day, and clear and crisp at night. We took photos of the stars, drank Terbodore Coffee and really just chilled out. On this weekend away we found some true second hand bargains! Driving through the Balgowan area we spotted a sign for a meander stop called “Treasures and Trash”. Well known for their pottery from Zimbabwe, this shop was also home to some beautiful second hand treasures. We spent a good while walking through each room, although I lost Paul in the room with the working typewriter and film projectors from the World Wars. 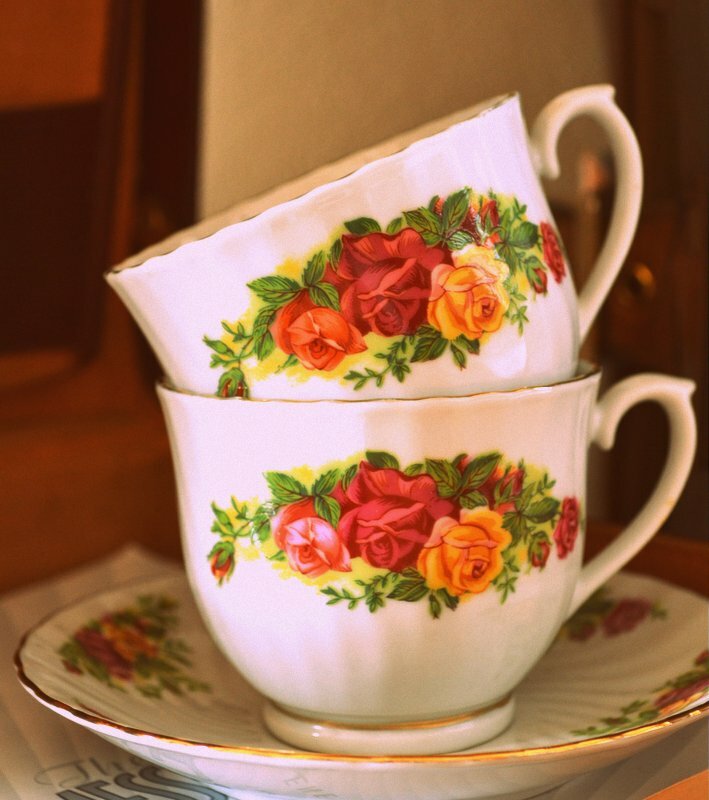 We came out of “Treasures and Trash” with a set of tea cups and saucers, an old briefcase, and two big grins. But the greatest treasure we found that weekend was on the Sunday, on our way home. We were craving some delicious Belgian Hot Chocolate and on stopping at the Belgian Chocolate Shop we found a shop, tucked behind some other craft shops, called “Golly Gosh!” Run by a friendly young woman, and full of porcelain, plates, cushions, and suitcases. 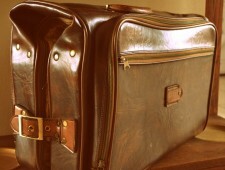 Not just any suitcases, genuine suitcases. 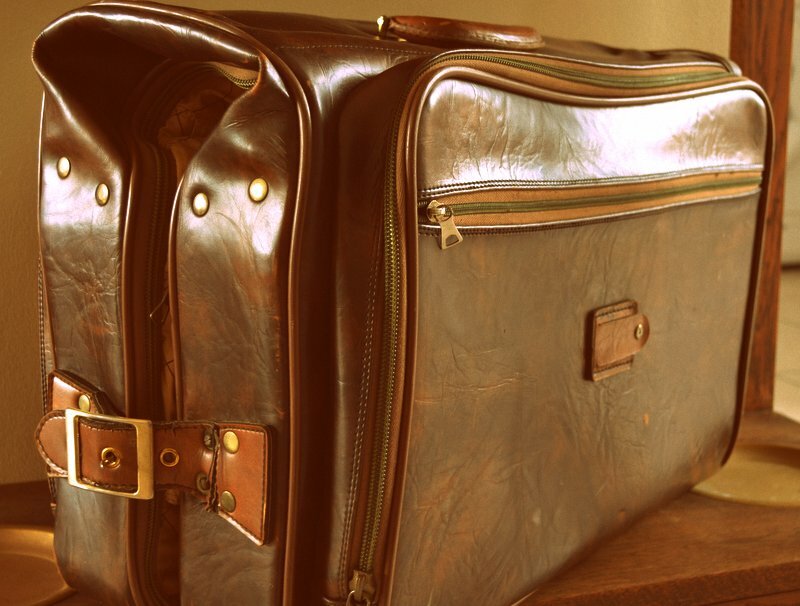 The word suitcase originates from the case that men would carry their suits in. 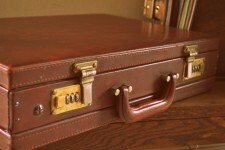 The case would fold up for travel and you could store your suit hangers and other accessories in separate compartments. This is the magnificent suitcase we bought home from that trip. Isn’t it too wonderful! At the moment it is a feature in our entrance hall, however I have sworn that we will use it on our next weekend getaway. All in all it was a successful weekend. We came home refreshed, reconnected and laden with second hand treasures. The Midlands is just the perfect place to drink great coffee, drive through some of the country’s most beautiful valleys, and stop off at eclectic and charming meander shops. If you are planning a trip to the Midlands and need a few hints of great places to go, comment below or post on the Facebook Page.